The NorthCap University celebrated the fourth International Yoga Day on 19 June 2018 by organizing a special yoga session in which all students, faculty and staff of the University, along with the Pro-Chancellor, Prof. Prem Vrat and the Registrar, Col. Bikram Mohanty learnt some basic yoga ‘asanas’. 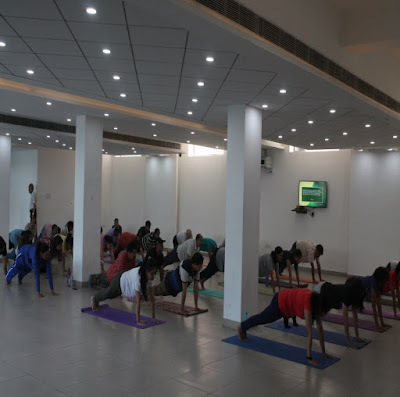 The main aim was to raise awareness and ignite a passion for fitness and yoga among the people. Yoga is supreme harmonization of physical, vital, mental, psychological and spiritual aspects of an individual. By practicing simple ‘asanas’ one can help dispel stress, tension, fear, etc. 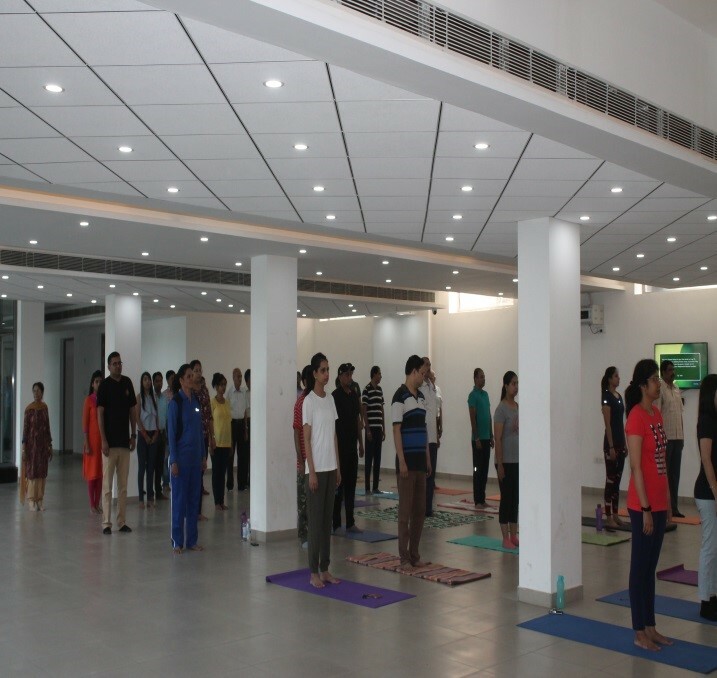 Members learnt various ‘asanas’ such as Sukhshma Vyayam (Subtle exercise) followed by Surya Namaskar and Yog Nidra. 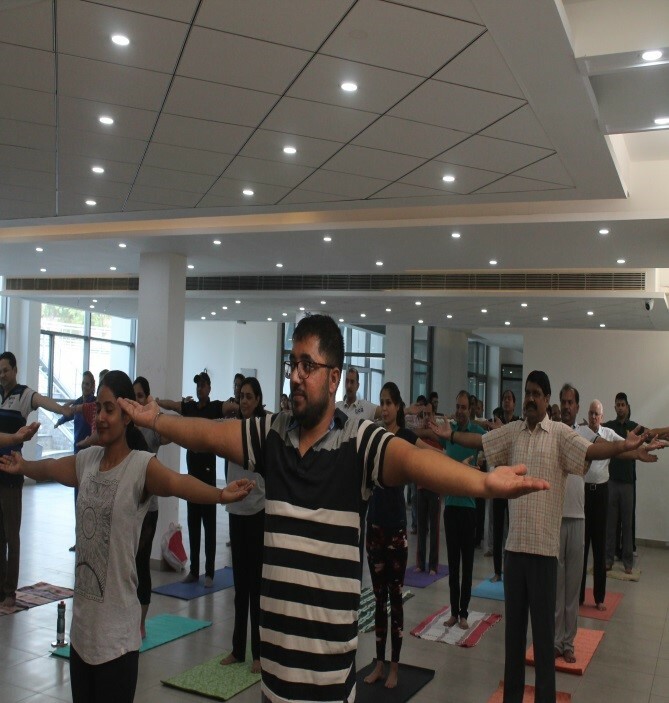 In another session students started by chanting ‘Om’ and performed 33 rounds of Surya Namaskar in 35 minutes followed by guided meditation. 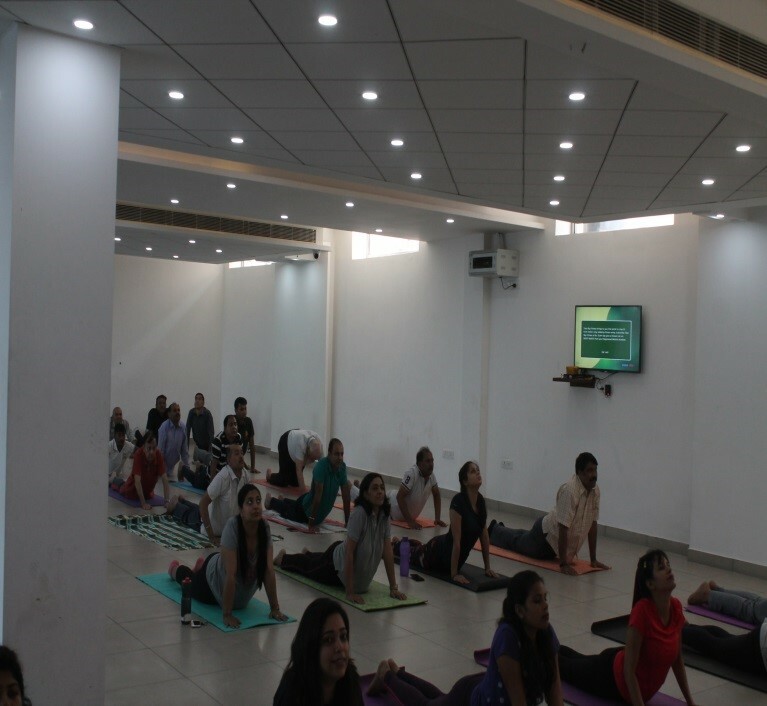 The ‘asanas’ were performed under the guidance of Mr Madhav Goyal, certified by Ministry of AYUSH and a Level 2 Yoga Trainer. Speaking on the occasion Prof. Prem Vrat said, “Yoga is an age-old tradition of India with tremendous health benefits. It enhances both the mental and physical well-being of the individual." He also motivated the members to make Yoga an important part of their daily routine to stay fit, healthy and realize their full potential.